When is a paper plate not a paper plate? 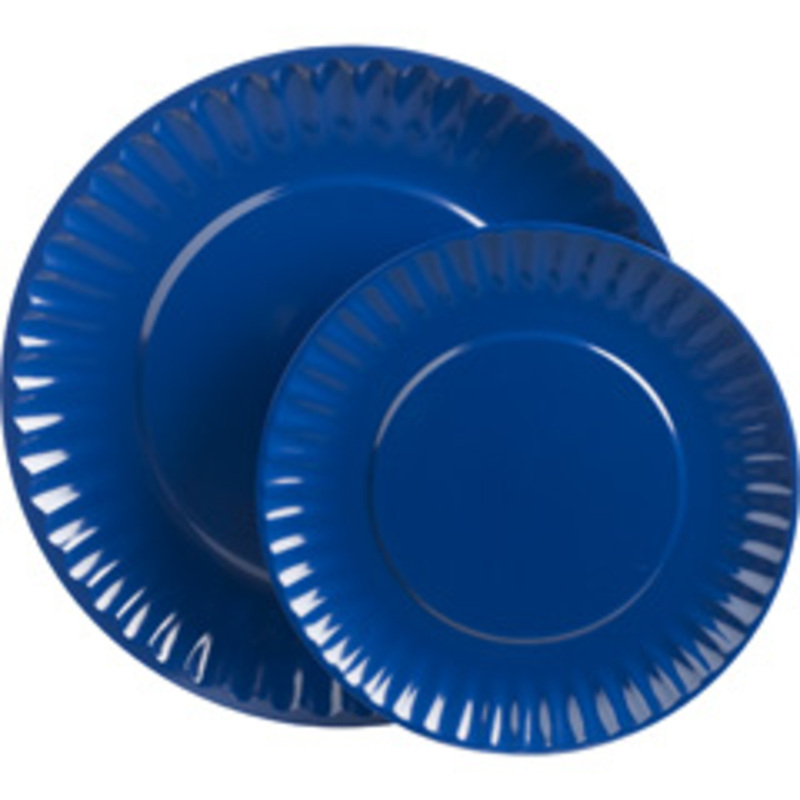 When it's Pier 1's Blue Melamine Paper Plate! Created to look just like its way less durable counterpart, these melamine plates are not just great for eating outdoors - they're dishwasher safe too! Available in Dinner and Salad Plate. The problem with picnics is they always take so much planning, putting all those utensils and glasses and plates together so well in advance that sometimes the spontaneity is...well, gone. 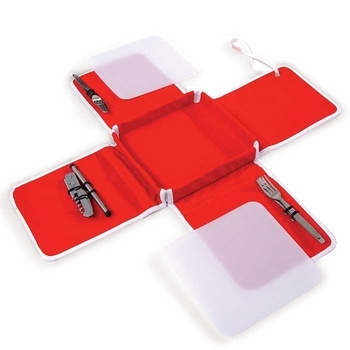 XXD solve this problem by providing an instant picnic set that is small enough to fit in the glove compartment of your car - two plastic plates, two sets of silverware, a corkscrew and a container for salt and pepper. The picnic set unfolds to provide an instant "blanket" and everything you need for instant gratification - just add a bottle of wine, some bread , cheese, salami....and you're ready to eat, wherever you are! These dove-shaped salt and pepper shakers from Chiasso are made of nickel-plated zinc and rubber. They stand 2 1/2 inches high. Ferran Adria, owner/chef of El Bulli, has turned his attention to dinnerware with his new line from Chroma, FACES. 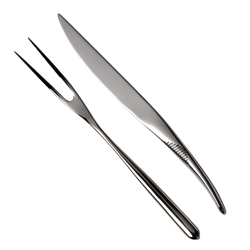 Ranging from a baroque-inspired knife to a spoon with a clip for fresh herbs, his new stainless-steel cutlery sets will add a bit of spice to your dining (before the meal is even served). Adria developed the knives in the line with Spanish designer Antoni Arola and German knife expert Christian Romanowski. Prices in the collection range from $61 to $250.